Somehow, against all odds, The Dark Tower TV series is still alive at Amazon. We first reported in February that it appeared as though the long-in-development small screen adaptation of Stephen King's beloved work had landed at Amazon. Not only is that true, but despite the fact that the movie was a total bomb last year, Amazon Studios head Jennifer Salke has confirmed that scripts for the series are coming in shortly. Here's what she had to say about it. "Those are scripts that I haven't gotten yet. I'll be seeing those, that material, in the coming weeks. None of those things are dead. They're very much alive." This is nothing if not interesting. Ron Howard had been trying to adapt Stephen King's sprawling and beloved series for years. Howard pitched it as a very ambitious project telling one complete story across various movies and seasons of TV. All interconnected and all telling the massive tale of The Dark Tower. The long-awaited movie was supposed to be the first part of that plan last year, but that didn't work out so well, to say the least. The Dark Tower wasn't directed by Ron Howard. He only served as a producer. Instead, it was Nikolaj Arcel who stepped in and, unfortunately, the results were less than desirable. The movie currently has a super rough 16 percent approval rating on Rotten Tomatoes. The bad word of mouth also killed the movie at the box office as the adaptation only made $113 million worldwide. And it's not as though Stephen King isn't a hot name right now. For the sake of comparison, though it is a very different movie, IT shattered records and made $700 million worldwide. Currently, there are precious few details about the series. Given what happened with the movie, it's possible this will be a reboot that will disconnect itself as much as possible. So even though Idris Elba may have been a great Gunslinger in a bad movie, he may have to move on. As for where it will start within the scope of King's novels? We previously reported that it would be tackling The Wizard and the Glass, but it's unclear at the present time if that's still going to be the case. If this really is going to be a fresh start, anything we heard previously could have been thrown out. We also reported that former Walking Dead showrunner Glen Mazzara had been brought on board. It's possible and even likely that he's still involved. 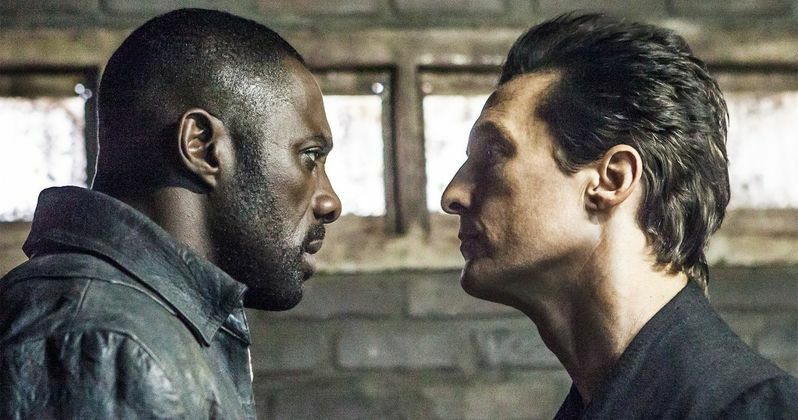 For now, there is no word on a potential timeline in terms of production or when The Dark Tower series could air. Really, it's surprising that it's still in the cards at all. But Amazon wants to break into prestige television and this could be one way to do it. That's why they're spending as much as $1 billion on their Lord of the Rings series, after all. We'll be sure to keep you up to date as more information on the project is made available. This news comes to us courtesy of Deadline.